Comodo Backup makes backups of files hosted on the local computer or remote servers such as FTP. It can duplicate files intelligently and can also send reports via email. Other interesting features of the program are found in the ability to schedule synchronizations and backups. The features of Comodo Backup are simple to operate and are easy to figure out, no matter the experience level of the user. Version 4.4.1.23 is a freeware program which does not have restrictions and it's free so it doesn't cost anything. For security reasons, you should also check out the Comodo Backup download at LO4D.com which includes virus and malware tests. Additional screenshots of this application download may be available, too. 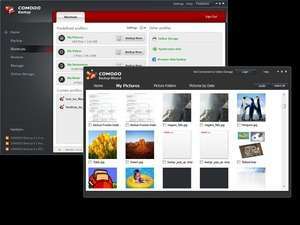 Comodo Backup download been highly rated by our users.